This hadeeth indicates the virtues of reciting the Qur’an, the greatness of its reward and that it will intercede for its holders on the Day of Judgement towards their entrance into Paradise. There is a special merit to reciting the Qur’an in the nights of Ramadaan. For indeed, the night brings an end to the busy daily affairs, the enthusiasm is roused and the heart and the tongue mount upon reflecting. And Allah is the one in whom we seek assistance. It is reported that Jibreel used to meet with the Prophet (sallallaahu alaihi wasallam) during each night of Ramadaan and they would study the Qur’an together. So if making thikr (remembrance of Allah) were better than the Qur’an or equal to it (on these nights), they would have done that all the time or at certain times along with constantly gathering for that occasion. Thus, this hadeeth illustrates the precedence of studying the Qur’an during Ramadan and gathering together for that occasion as well as turning towards one who is more prominent in the memorization of it. They would recite the Qur’an in their prayer and out of it. ‘Uthmaan (radiallaahu anhu) would complete the recitation of the (whole) Qur’an once a day. And some of the Salaf would complete it during their qiyaam in Ramadan every three nights. Some of them would do it every seven days and some every ten days. *From the above-mentioned verse of Qur’an it is clear that Allah told us to read the Quran with meaning. Quran is a guide to humanity which also includes you. Since none of us want to be misguided, it is paramount not only to read or recite Quran, but to understand and implement it in our lives as well. Prophet Muhammad (peace be upon him) gave us a simple formula to be the best: “The best amongst you is the one who learns the Qur’an and teaches it.” (Al-Bukhari) So go ahead, learn and teach the Qur’an, and make yourself among the best of Muslims Insha Allah. Method: Read 4 pages of the Qur’an after every Salah. Make sure you understand it. 5 prayers X 4 pages = 20 pages. 20 pages= about 1 juz. 1 juz X 30= the entire Qur’an. So simple! Click Here to Download Quran. 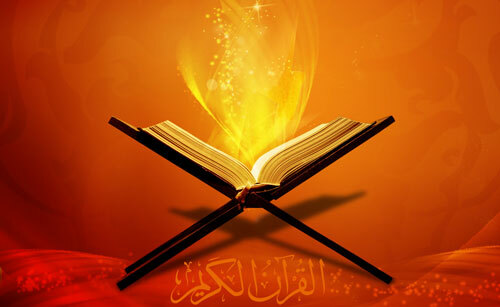 Click Here to read Quran Online. Best way to memorize the Quran !! Copyright © 2013 - 2018 QuranerAlo Publications | All Rights Reserved.